Goldenrod; photo by Elaine on Flickr (noncommercial use permitted with attribution / share alike). Goldenrod was designated the official state flower of Nebraska in 1895 to "foster a feeling of pride in our state, and stimulate an interest in the history and traditions of the commonwealth." It was later said by Ida Brockman (daughter of representative John M. Brockman) that the state flower "... has a long season, and nothing could better represent the hardy endurance of Nebraska's pioneers" (goldenrod flowers appear from July through October). 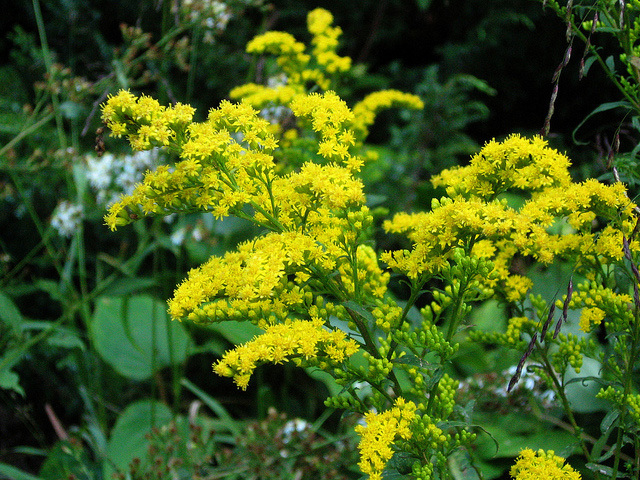 The original legislation spelled the flower "golden rod" and referred to it as "Solidago serotina" - today this species is called giant goldenrod (Solidago gigantea). Numerous species of goldenrod are native to Nebraska and grow throughout the state. 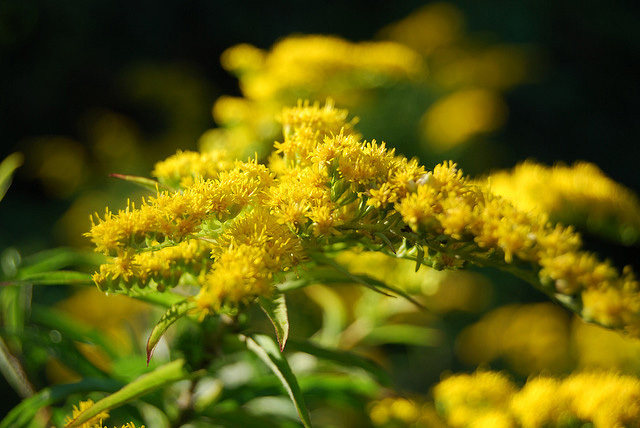 Goldenrod is also the state flower of Kentucky and the state wildflower of South Carolina. 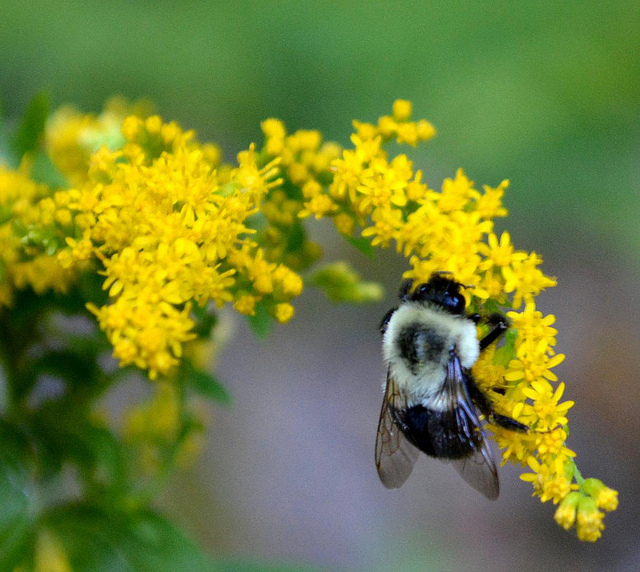 Bee on goldenrod; photo by Glenda Popielarski on Flickr (use permitted with attribution / no derivative works).